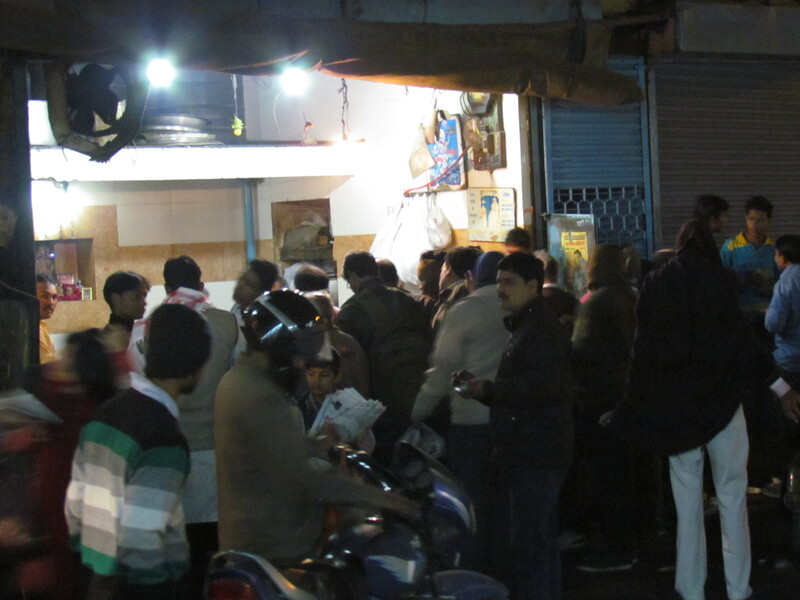 A shop without a signboard, identified from a distance by the sheer crowd , serves awesome samosa, kachoris & freshly made imartis – unmissable. 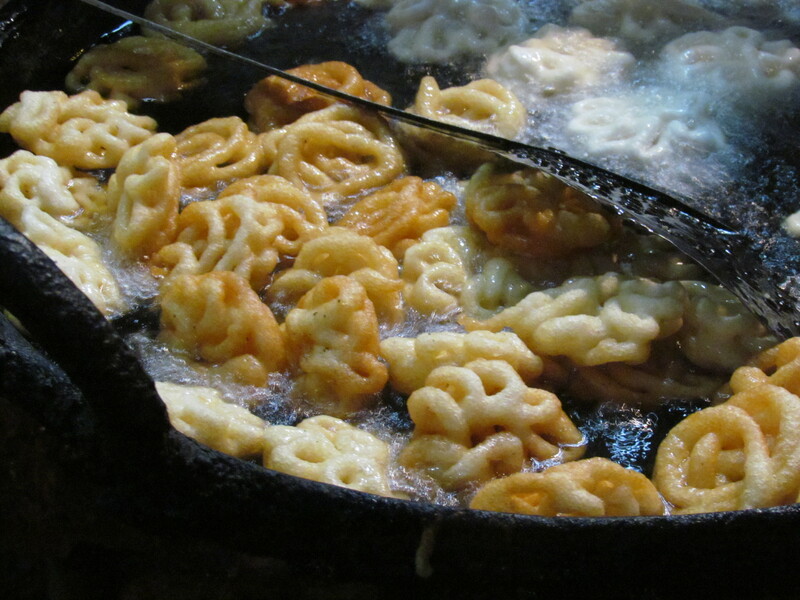 Address & other details: Reach Patankar Bazar & use Indian GPS – Ask people for Chotelaal kachoriwale. As mentioned above, the shop does not have a signboard. Almost 30-40% people eating here did not even know the name of the shop. 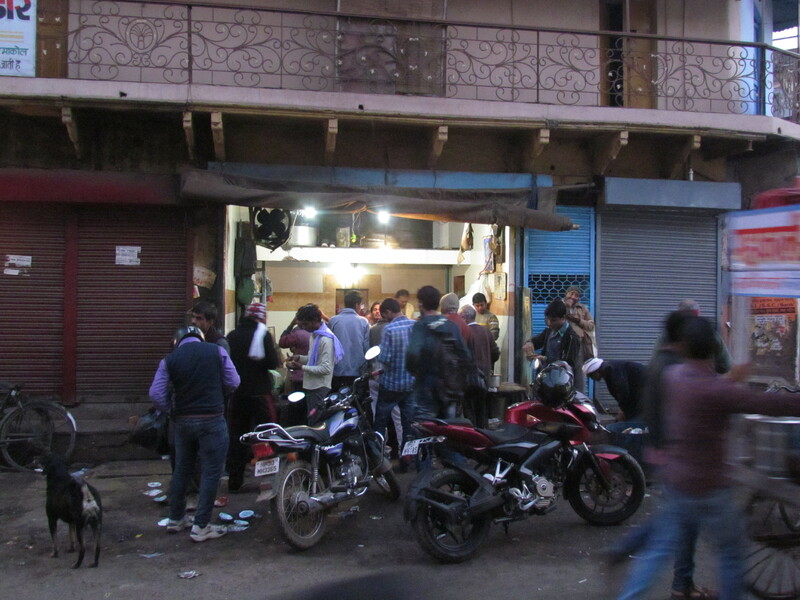 We reached Patankar bazaar & started walking towards the chowraha when we saw this shop with huge crowd. Asked the salesman in the shop opposite to this shop ‘ what is the name of the shop’? Answer was ‘I don’t know’. Started asking the outer layer of people in the crowd who were eating. Same response. Few people knew it. However just to b sure I asked the shop guy & he confirmed. Customers cannot enter the shop – the full shop is a live kitchen. 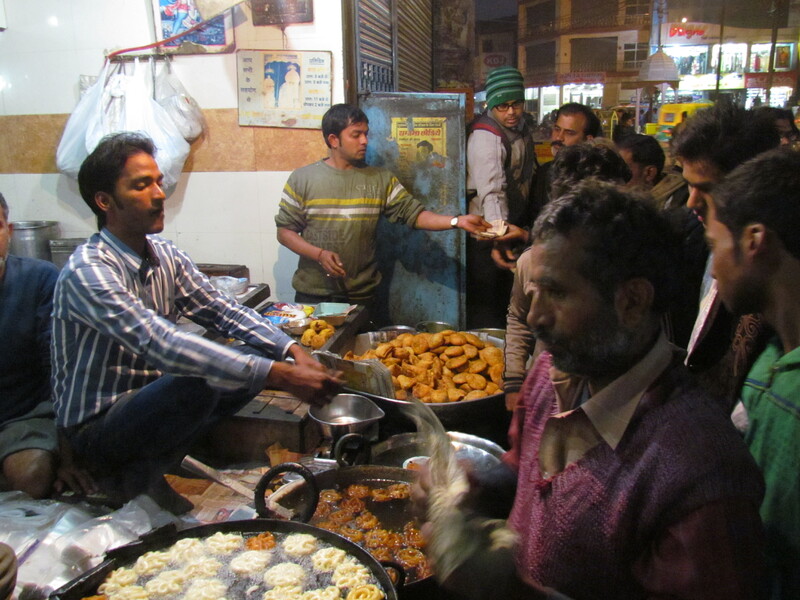 The area near the road is a food display , packing, cash area. People were standing in front of the shop & eating. The shop was continuously crowded for the 30 minutes I spent there. The food earlier used to b served with ‘dona (use & throw bowls made from dried sal leaves). Now they use paper ‘use & throw’ bowls. Super loved the food. 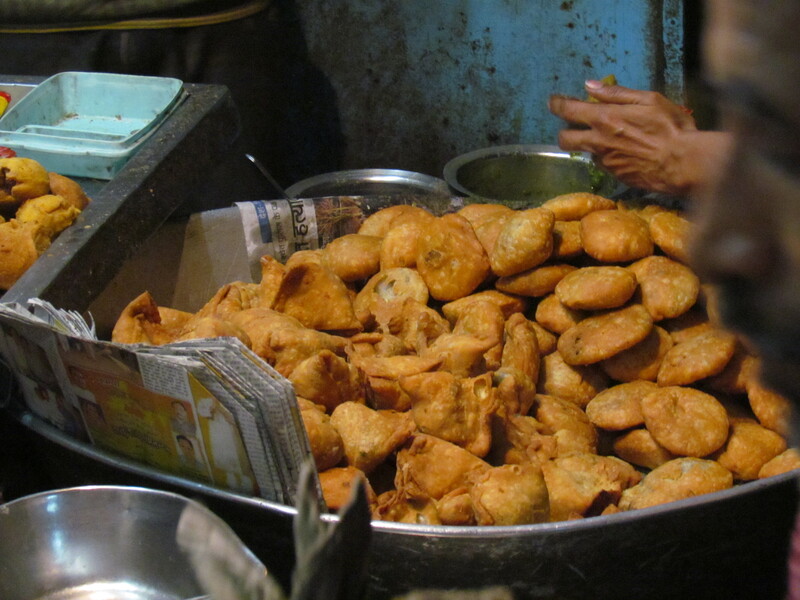 This shop sells only 3 items – samosa, kachori, imarti. We decided to try all 3 items. The Samosa on its own was very good. It had a over-fried, very crisp, outer layer. It had a simple, flavorful, spicy and slightly hot filling. 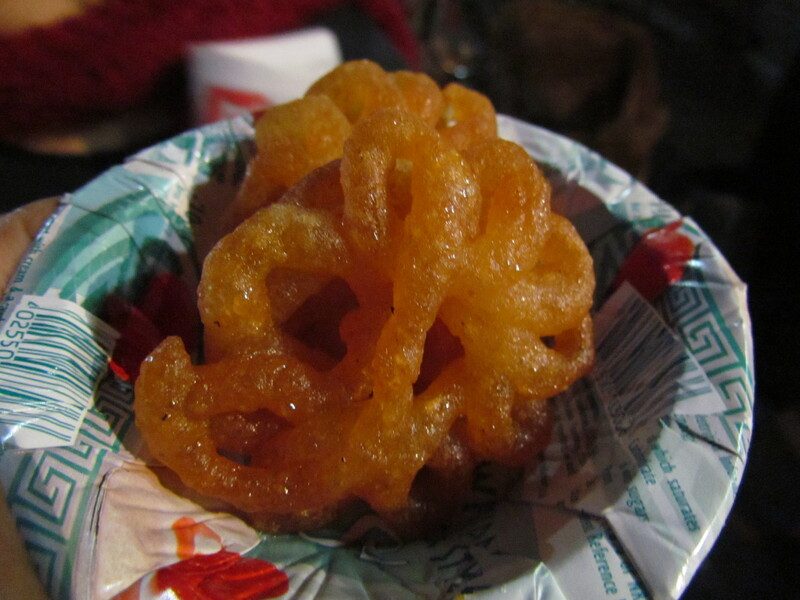 The filling was made with big chunks of aloo that had been initially boiled and then made into a dry curry. That made the difference to the taste and flavours. The masalas were being balanced by the big chunks of aloo, thus not letting the spice level exceed limit. I wud rate the samosa 4/5 on its own. 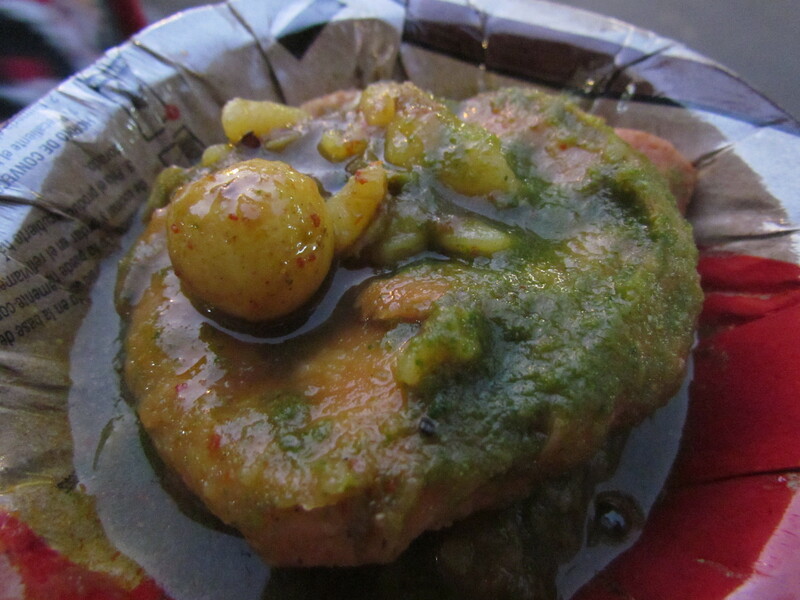 However, as recommended by the shop we had the samosa in a chaat form – it was mashed and served with green chutney, red chutney and aloo ki subzi (made from baby potatoes). The result was awesome – layers of taste, flavor, texture and yumm feeling. Rate the dish (as recommended by the shop) 4.5/5. 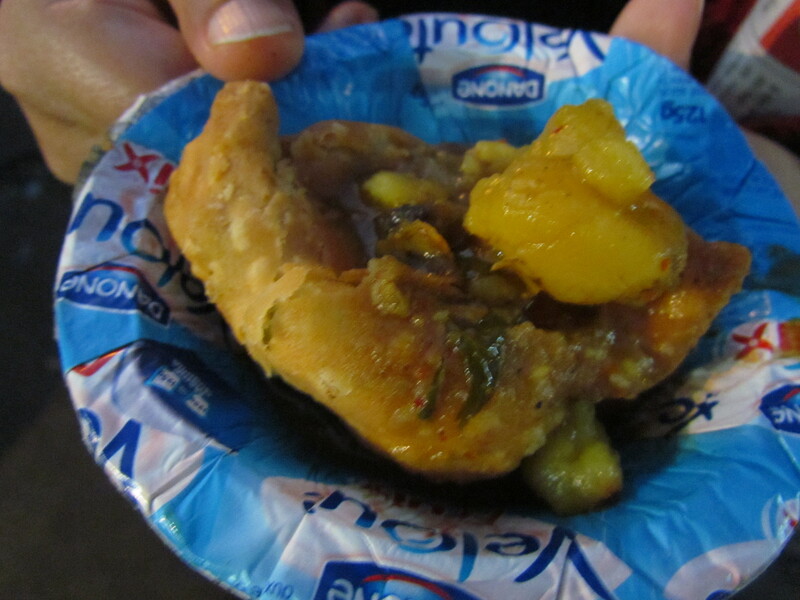 The dal kachori again had a super crisp outer layer. 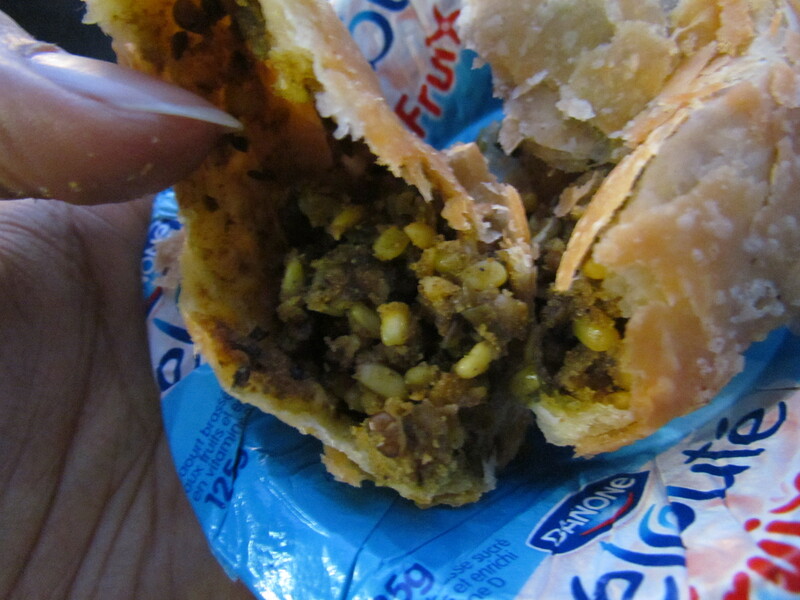 The filling had moong dal and it was visible in full shape and size. I had it as it is and loved it. Rate it 4.25/5. However,we also had the dish their recommended way and it again reached heights of awesomeness. 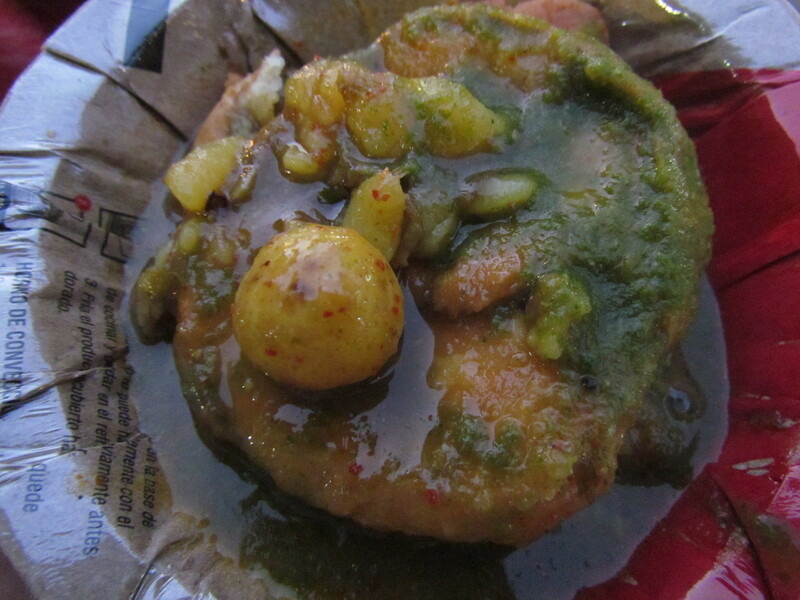 Rate kachori with chutneys and aloo subzi 4.5/5. Then came imartis. 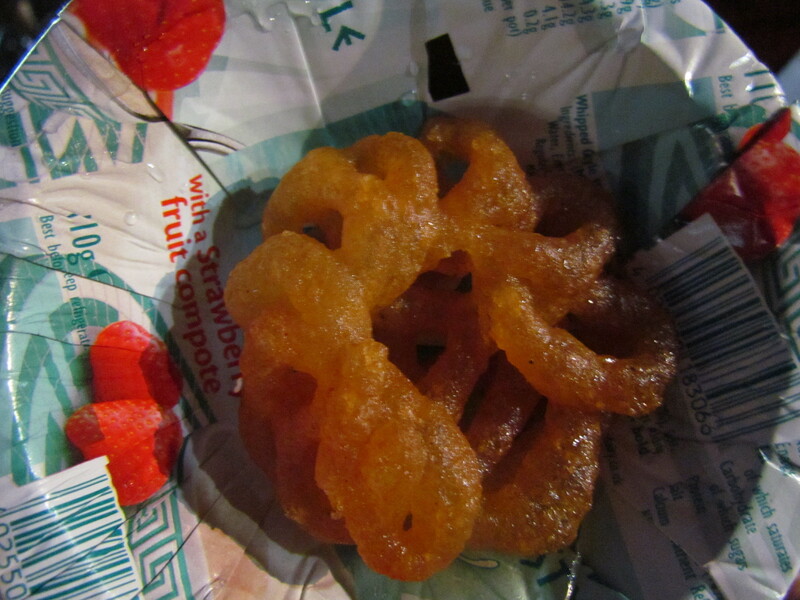 Very few places in my active memory serve freshly made imartis straight out of the kadhai. 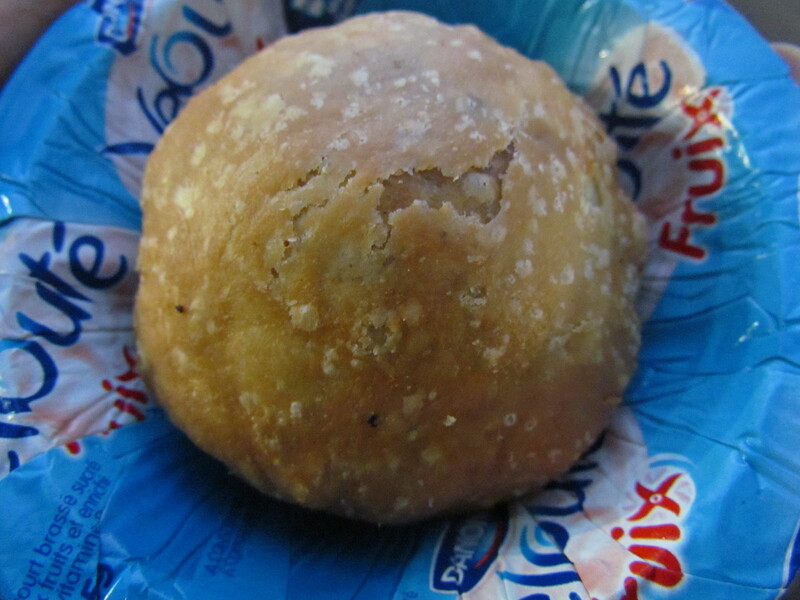 This imarti had no color added to it. It was super crispy, grainy and just unputdownable. One of the best I think, in my life. Rate it 4.75/5. 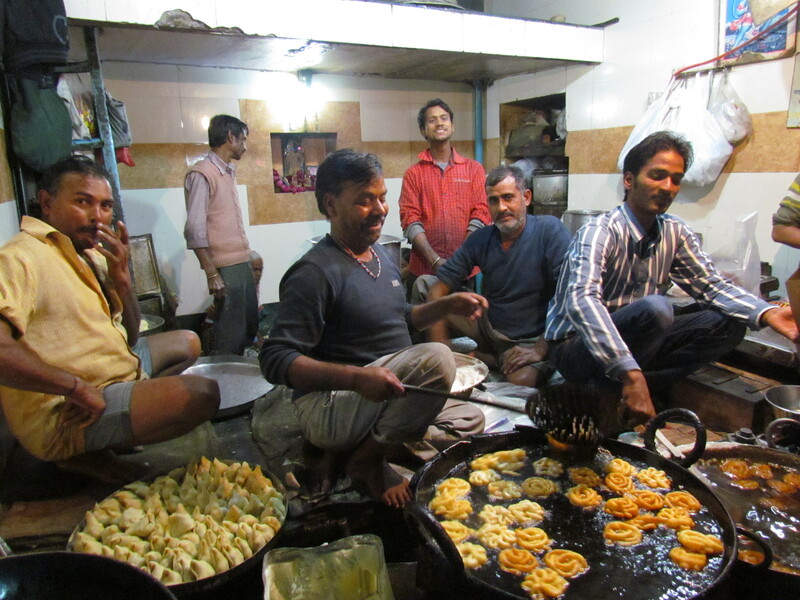 Overall rating of food at chotelaal kachoriwale averages out to 4.6/5. 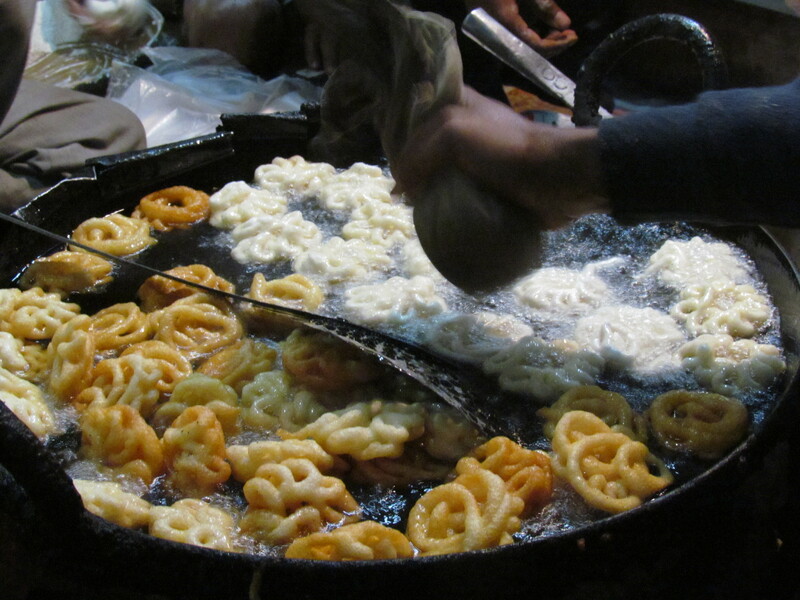 Make sure u do not miss it when in Gwalior. 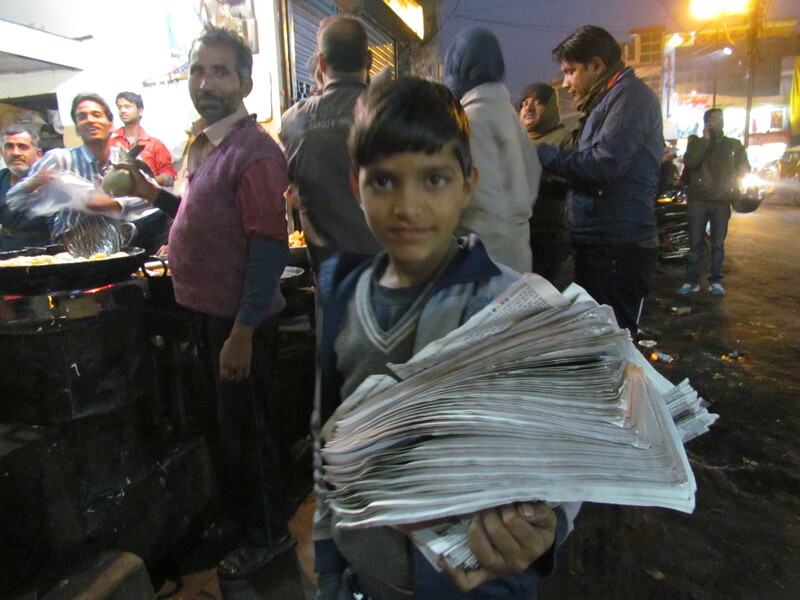 While we were eating, this kid inspired me – He sells newspapers in the evening, gets up early, does homework, studies and then goes to school, …….